Kongsberg Maritime has entered a partnership with class society DNV GL to issue Product Certificates for Maritime Simulator Systems required by maritime training providers in order to meet flag state requirements under STCW regulation I/12. The partnership enables KONGSBERG to support training providers with an expanded scope of supply with support for mandatory requirements, whilst enabling DNV GL to reduce the overall cost of its certification services for training centres. According to STCW Regulation I/12, simulators used for mandatory simulator-based training and / or used as means to demonstrate competence (assessment), shall be approved by the relevant maritime administration. In addition to a statement of compliance issued to a simulator manufacturer, a Product Certificate issued to the simulator training provider is required for compliance. The partnership between KONGSBERG and DNV GL has been established to address the challenges that both training providers and flag states face in adhering to the STCW requirements. It has become clear that due to time and logistical challenges, product certificates cannot always be produced, while approval of simulator installations by classification societies also adds significant costs. The partnership aims to make the process of obtaining a Product Certificate more efficient and less costly. KONGSBERG will provide certification support for DNV GL, who will continue to issue Product Certificates based on: A valid statement of compliance to manufacturer; document evaluation (hardware and software) of the installed simulator; and a site acceptance test by the manufacturer based on approved test programs. KONGSBERG is responsible for developing and submitting these documents described to DNV GL, as well as the accurateness and completeness of such documents. DNV GL is responsible for evaluating the documents and deciding whether the marine simulator complies with the standards for issuing the Product Certificate. Annual tests to retain the certificate and tests for renewal and upgrades of the certificate at the end of the validity period will be handled directly between the training provider and DNV GL, who will also advise on maintaining certification during and following the initial period. 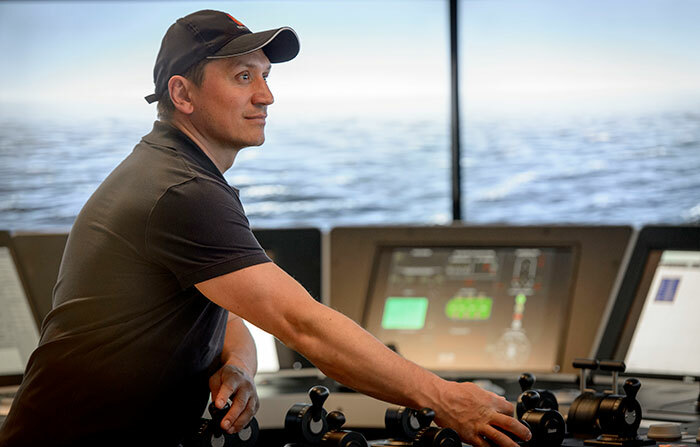 Nils-Gunnar Boe, Head of SeaSkill, DNV GL said: "We have experienced many misunderstandings on the STCW I/12 requirements, which have created a high cost for the training providers needing to get the simulators approved by a classification society after the actual installation is in place. With cooperation with trusted and approved manufacturers like KONGSBERG, we believe we have found a good solution to efficiently issue the product certificate and to reduce the cost of this service." Erik Hovland, General Manager, Kongsberg Maritime Simulation said: "We are very satisfied to work with DNV GL in order to reduce the complexities and challenges that maritime training providers face when obtaining Product Certificates for their simulator installations and proud that DNV GL selected KONGSBERG as the first manufacturer to make this simplified procedure happen. The partnership enables us to provide even more services to our customers, whilst streamlining the process and introducing significant cost reductions."